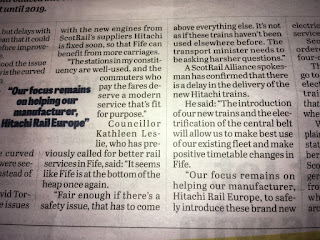 This is just a short post (I have been extremely busy this past week with numerous meetings, chasing up ongoing issues and attending a policy conference - all of which I am wanting to write about later this week) on a rather surprising and disturbing account in a local newspaper last week. The article detailed the worrying narrative of a parent who was advised her son would not get a place in a Dunfermline high school following a placing request. The text of the letter written by myself and Cllr David J Ross can be found below. It is worth reminding readers that there is one final statutory consultation meeting to be held on rezoning proposals - that is on 23rd May at Inverkeithing High School. If you have not attended and this affects or concerns your child I would absolutely urge you to attend the final session. I went to the presentation at Queen Anne High School this evening, which was relatively quiet - I think due to a larger turnout at the two previous ones. Having listened to parents ask officers questions I am still left feeling as I did before. It is not so much the rezoning proposals that are the issues, there is, in my opinion, more sense in this current proposal. It is the timing - the speed, the hurried approach I have been unhappy about. As I have stated on previous occasions, the rapid development of Dunfermline through extensive house-building around the Eastern Expansion was not something that no-one was aware of. Previous Council Administrations and Officers have been well aware there would eventually be a capacity crisis and a need to rejig zoning - therefore, this should have been a process that was done over a gradual period of time to cause the least impact on youngsters. I have heard far too many stories this past number of months of the emotional toll this lengthy process has taken and the confusion youngsters have felt when they have continued to be unsure of where they will attend high school. Getting It Right For Every Child (GIRFEC) is at the centre of education and that includes not only teachers, school support staff, social work and psychologists - it also includes elected representatives. This has to be kept in mind throughout this process. 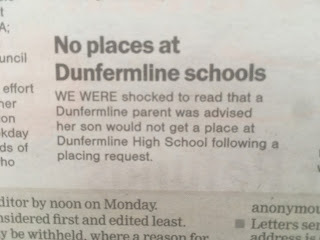 We were shocked to read that a Dunfermline parent was advised her son would not get a place at Dunfermline High School following a placing request. At last month’s Education & Children’s Services Committee our group asked the question that if those affected families by the capacity crisis at Woodmill High School put in a placing request for another Dunfermline high school would it be granted? We were told, yes. Therefore, it is very worrying to read that a family has had their placing request knocked back due to a failure by Fife Council over the past few years to recognise that such rapid house-building was going to lead to a crisis in school place availability. It is also deeply concerning to read that Shelagh McLean describes those who won’t be able to attend Woodmill High School as having “the opportunity to attend Inverkeithing High School”. Is it an opportunity for a young person to be separated from their peer group and sent to a different school? Is it an opportunity to be sitting in April with only two months of primary school left and not know where you are going to high school? 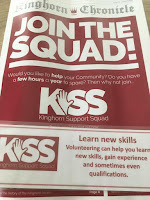 What sort of “opportunity” is this? 10,000 new homes will be built in Dunfermline and West Fife over the next two decades and we now have one high school at capacity (Woodmill) and another (Inverkeithing) that will be at capacity in four years if the revised rezoning proposals go ahead. Currently the only assurance we have is that a report will come to Committee in the Autumn that will shed some light on funding for new schools. None of this is of course of any good to those children who still don’t know what high school they will go to in four months. Lack of accessibility on the northbound platform at Burntisland Railway Station was one of my election pledges. Simply put, in 2018 it is unacceptable that a railway station does not have disabled access for passengers joining or alighting from a train. The current situation leaves wheelchair users and/or those with limited mobility having to plan their journey very carefully. 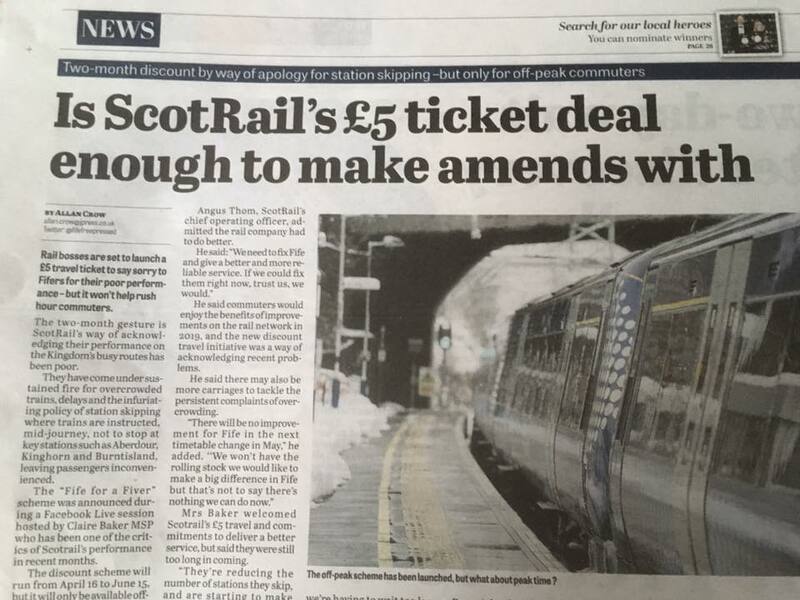 Either they have to stay on the train until Kirkcaldy and then cross the platform via the lift and subway or exit at Inverkeithing, Aberdour or Dalgety Bay and take a (pre-booked) taxi back to Burntisland. I have written to Network Rail requesting a meeting. I am aware this is a long running issue (decades old) and I believe that it has to be looked at again. 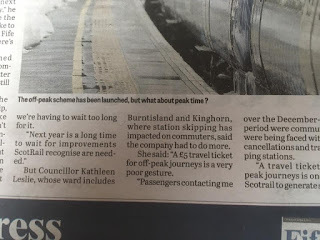 At this stage if you or anyone you know has had experience of using/attempting to use Burntisland Railway Station and you have mobility issues then please do get in touch. I have spoken with the local media about this to try and generate feedback too. 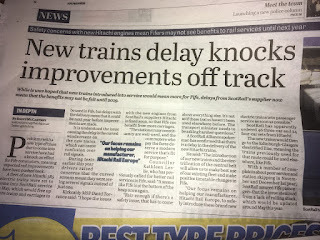 I am writing in regard to the lack of disabled access on the northbound platform at Burntisland Railway Station, Fife. This platform is inaccessible to wheelchair users and is difficult to access for pram users and those with decreased mobility. Whilst the southbound platform has had a ramp constructed to allow access, the only way to access the north side is via steps. Both researching and speaking with rail users I have been advised that wheelchair users and those with limited mobility should remain on the train until Kirkcaldy where they can cross the platform via lift and subway and then take a train back down the line to Burntisland and alight at the southbound platform, thus utilising the ramp. 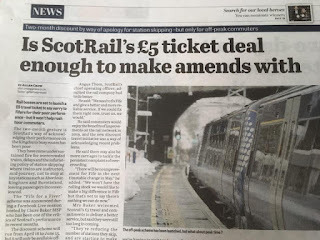 Alternatively, a disabled user could alight at Aberdour Railway Station and order a taxi to take them to Burntisland – again this means additional time has to be factored into any journey. Whilst I understand that passengers with a disability can book assistance at a station through the Passenger Assist system this is not always possible. Booking in advance means that a rail user who needs assistance loses out on any element of spontaneity in their journey. 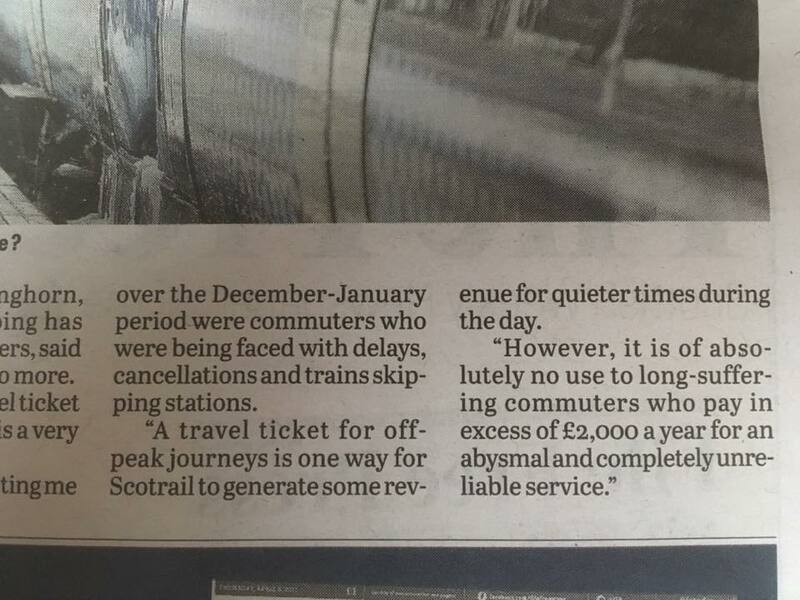 Whilst those without disability can do this it means that disabled rail users who decide to travel to or from Burntisland have to plan in advance. 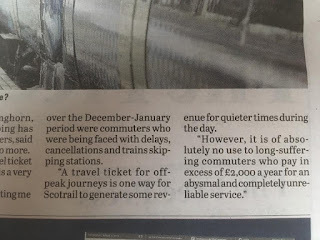 I note that though your Access for All Fund an additional six Scottish stations have been added for upgrade, but this does not include Burntisland. 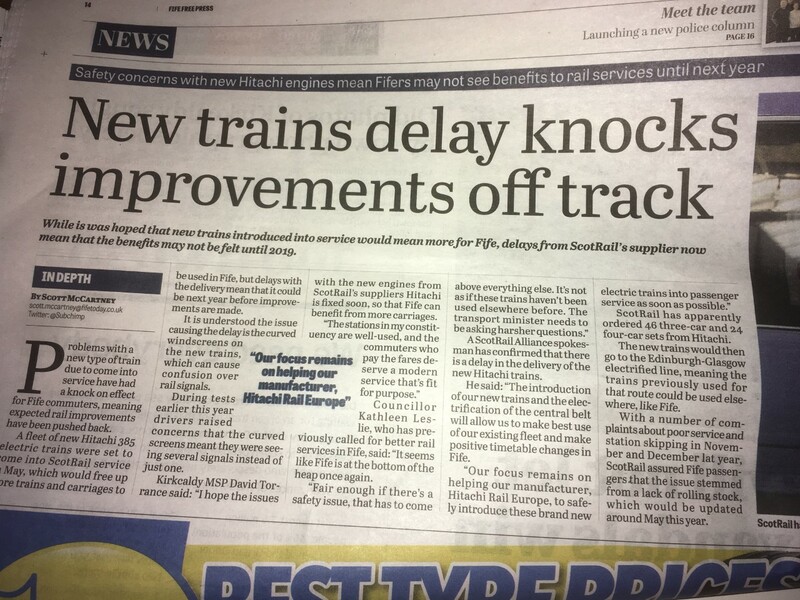 At this stage I would like to request a meeting with Network Rail to discuss accessibility and what progress will be made to ensure that Burntisland Railway Station has full disabled access on the northbound platform. 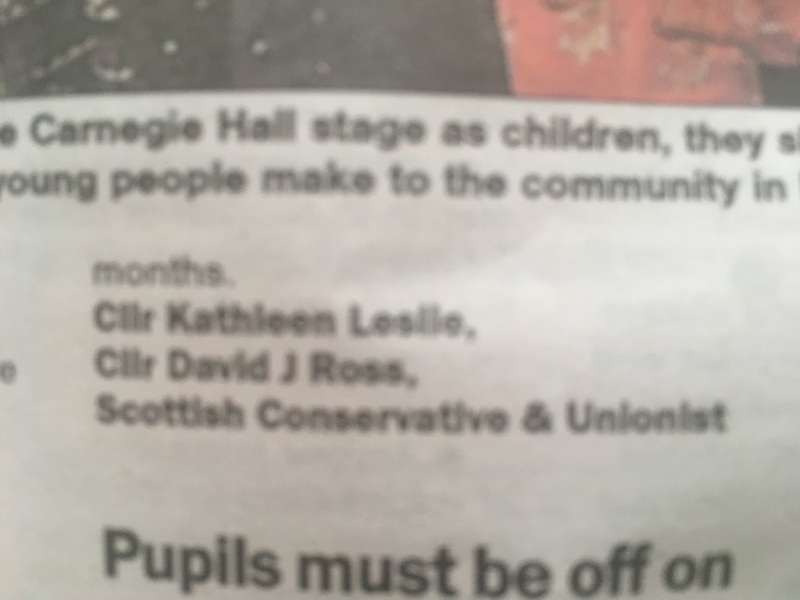 Burntisland has three Ward councillors and I would envisage that all would like to meet with you and discuss this further. Damage to public services across Scotland is not of course only confined to the NHS; the merging of Scotland’s 8 police forces into the tumultuous establishment of the single Police Scotland, is still behest with crises. However, again I have to praise the hard-work and dedication of staff. A couple of weeks ago myself and a cross-party group of Fife Councillors (all parties were represented except the SNP on my visit – strange that…) visited the police control centre at Bilston Glen to learn more about the operational work of policing. 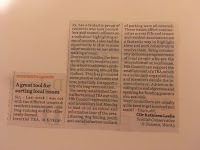 I was particularly interested in attending as the themes that have come up time and time again in my Ward, community councils and TRA meetings are the lack of visibility of community police and 101 call responses. Residents have continulously raised concerns about calling 101 and then a no-show from the police. 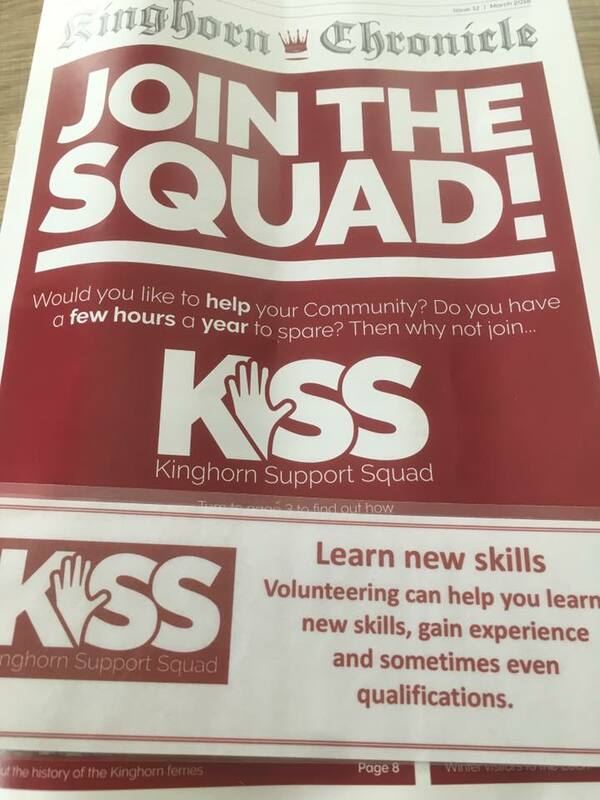 Youth anti-social behaviour has been a long-running theme and whilst it is only a minority, the impact on local communities can be great with worry and stress. Confusion has also arisen as to whether to call 999 or 101. Councillors vocalised concerns about calls from all over Scotland being fed into a centralised system. We were assured that detailed mapping allows call handlers to have as much, if not more, knowledge on the ground than local officers had before the merging of the forces. Whilst I take on board aspects of the approach to feed all calls in centrally and then radio them back out to local police, I am as yet to be convinced that this is an effective alternative to the local bobby with the local knowledge. Last week I was out with two different Tenants & Residents Associations, one long-running and the other newly-formed. Invertiel TRA in Kirkcaldy has a fantastic group of residents who took councillors and Council officers on a walkabout highlighting areas of concern. I also had the opportunity to chat to some other residents we met whilst walking around the neighbourhood. Over the past number of months, I have been working with residents and the school to address a problem with littering around the viaduct. This has produced some positive outcomes and now, potentially, the opportunity to facilitate a long-term solution. The newly established Central Burntisland TRA met with Fife Council representatives and councillors last Monday to lead us on an initial and informative tour of the area. Littering, dog-fouling, youth anti-social behaviour and lack of parking were all covered. These issues affect communities across Fife and tenant and resident associations are a fantastic way to draw attention to and work collectively to resolve. Being community-led means empowerment of local people who are the most informed on local issues. Fife Council can support the establishment of a TRA, which is a voluntary organisation, and members decide the issues to focus on. Advice on deciding aims and objectives and applying for funding grants is also available. Ward councillors are usually quite keen to get involved and assist! I have also had quite a bit of correspondence from residents on flooding on local roads, particularly the A921, the continued closure of the Loch Road and the general abysmal state of Fife’s roads. 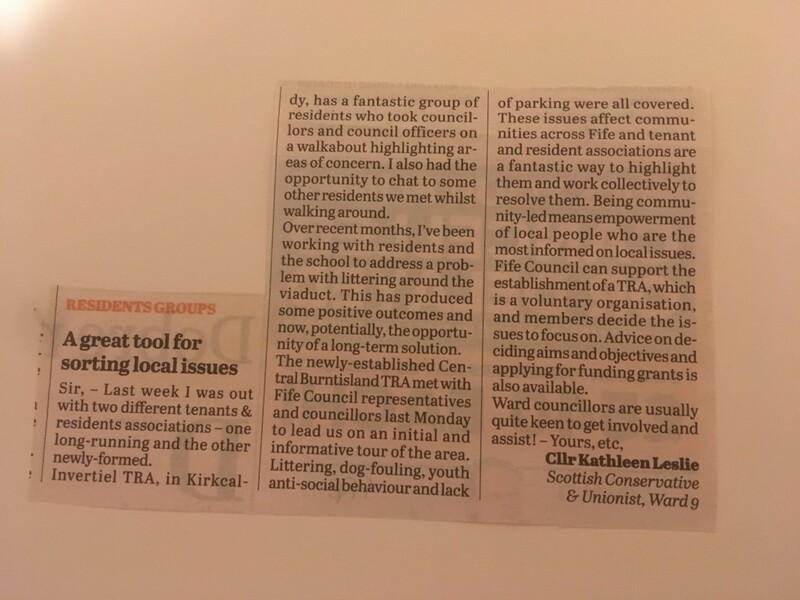 The Kirkcaldy Members Meeting (not the Area Committee) met late last month and gritting and grit bins were on the agenda. 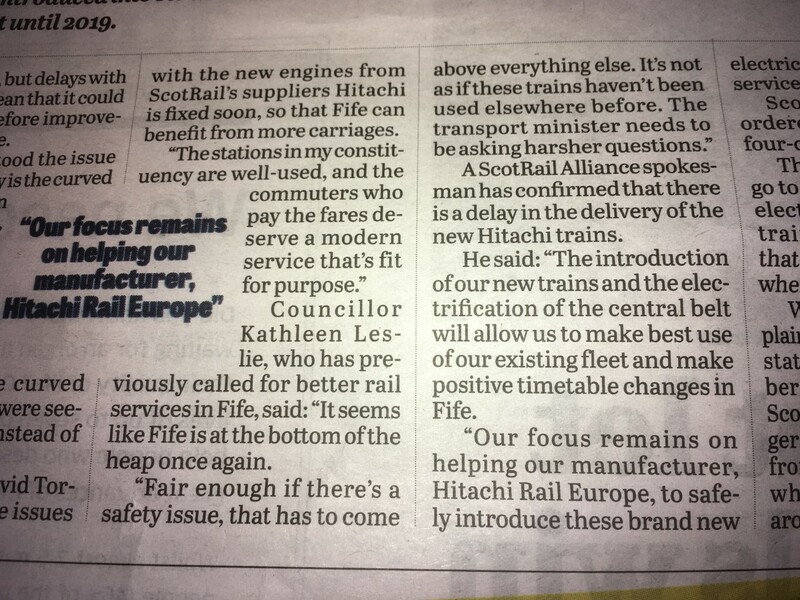 Fife has 4,100 grit bins, of which they cannot afford to maintain all. It does also appear that the location and condition of them all is not quite so clear. A working group of Councillors has been looking at the development of a strategy on grit bins – a strategy because it appears that until now that has been lacking. In 1991 there were 1,500 bins with the criteria for them based on considerations such as altitude but by the early 2000s tracking appeared to have disappeared and anyone who requested a bin could get one. New developments also meant new bins. My major concern here is that Winter strategy appears to be based on “average” Winter conditions – that does not seem to factor in a Winter such as we have had. I am also concerned that when I was out and about in the icy conditions I found streets – such as those next to Burntisland Primary School had no grit on them at all. I just hope that this isn’t one of these issues that slips off the radar until the next icy Winter. My colleague Cllr David J Ross asked officers the question that if a placing request was put in for Dunfermline or Queen Anne would it be granted. He was given a one word answer – yes. Therefore, quite what is going on is uncertain and I will be emailing officers asking for clarification. However, we did not have to put forward the amendment as the Convenor recommended that a report be brought to the next meeting providing, as we had asked, further detail. This was in reference to what the Directorate is calling – A Better Connected Directorate (ABCD). The pilot was rolled out with Kirkcaldy schools in February. I only knew this due to sitting on the Education Forum where the notion had first been raised. 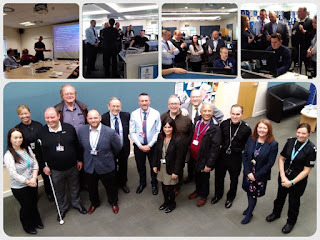 The principles of it – providing more local collaboration make sense but the sticking point for us was that this was being moved from pilot to across all seven areas without feedback on the pilot. Again, though rather than take it to the amendment, where garnering cross-party support would be all but impossible I instead directly asked officers if we could have a report come back to Committee on the pilot and was advised, yes we could. Myself and my two colleagues were satisfied with the response and therefore, had no need to table the amendment. One thing I have come to realise is that whilst Full Council may be a mud-slinging contest at times, committees tend to be where the real work gets done and there are ways and means of getting desired outcomes and getting some sort of consensus at a cross-party level. 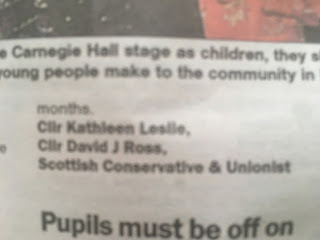 I have real and serious concerns about attainment, curriculum, improvement collaboratives, ASN provision and cuts to further education places under this SNP Government, but I also recognise that councillors in Fife are working on education matters that are specific to the local authority – those can include the school estate, attainment and achievement scores, the poverty-related attainment gap, what is a positive destination – these are what locally elected members are focussing on. We can’t change national policy, much as many of would like to. However, we can work to ensure that Fife’s young people are all able to realise their full potential.